There’s nothing like a cold day in January, when you’re feeling blue, short on change (it’s a long month) and saddled with extra weight from the Christmas festivities of the not so distant past, to shock you into refocusing your mind on obtaining a healthy weight and lifestyle. With wedding season starting again soon, Shrinking Violet have come up with a solution. 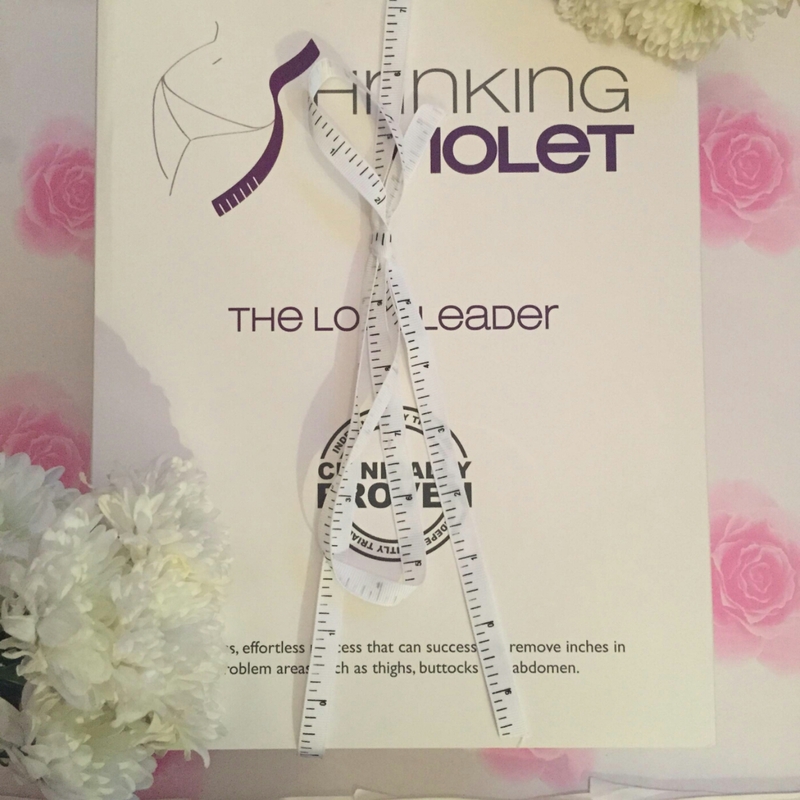 Shrinking Violet is a fat burning solution that can help to kick start a weight loss programme or get you in shape for a special occasion (hint hint: hen do, wedding, or honeymoon). The professional treatment has been around since 2008 but there has been no consumer offering until now. The product is quoted as allowing an individual to drop a whole dress size in just 30 days. (There is a clinical trial to confirm these results). So, what’s in the kit? 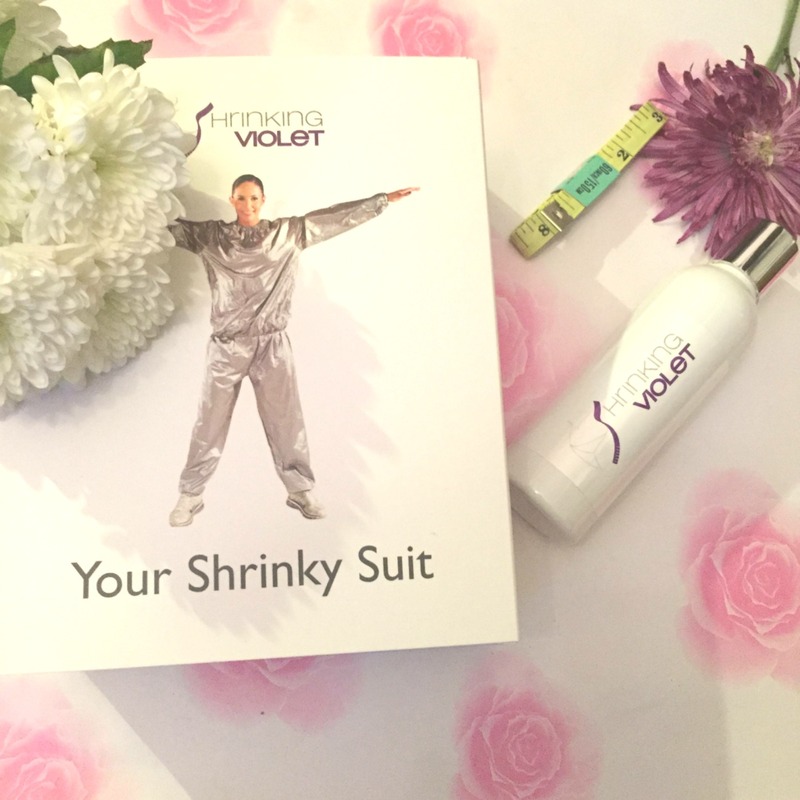 The Shrinking Violet Home Use Kit contains a solution, measuring tape, Shrinky suit, measuring cup and record cards. How do you use the suit? The instructions sent by Shrinking Violet were to rub the solution into any problem areas (for me this was the tummy area and backs of my arms) and put on the Shrinky suit for one hour. The Shrinky suit is essentially a full body wrap. You only have to increase your body temperature by two degrees for it to work. (This has allowed me to wear the suit while watching The Real Housewives of Miami or exercising at home. You choose how you’d like to do it. Although, I did perspire more when wearing during the latter). I’m currently taking part in their 90 day challenge and so far the results I’ve seen have been good. A week in, with regular 30 minute gym sessions, I’d lost 5 lbs and about an inch from my waist (*happy dance*). The suit helps to cleanse the body of toxins and you do see results even after the first use, and the solution continues to work on your body for a period after. For £99 you’re investing in a spa treatment that you can carry out yourself at home. This means you can shape up while searching for caterers, booking the venue, choosing the venue decor etc. Shrinking Violet is internationally recognised and is the only brand of its type to be clininically proven. Its also been hailed in the press as a fantastic “loss leader”. If you’ve not got time to go to the gym but do have time for a few home workout routines, this product is great for enhancing (and speeding up) your weight loss journey. Next Post What’s Your New Year Resolution?